Arlington, Virginia (April 2018)—Fred Schnider Investment Group, a real estate investment and development firm specializing in urban and suburban mixed-use and residential properties, recently announced the launch of the Fred Schnider Art Gallery at 888 N. Quincy Street, Arlington, Virginia. Located at the Residences at Liberty Center, the art gallery will showcase works from acclaimed artists in the Washington, DC area and around the country with a focus on local talent. The gallery will display up to seven major exhibits a year for about six weeks each, as well as host community events and showcase Fred Schnider Investment Group projects and public art works associated with its investments. Marty Schnider, president of Fred Schnider Investment Group and founder of the Fred Schnider Art Gallery along with Mary Schnider, director of the Fred Schnider Gallery, are collaborating with local universities to integrate educational efforts into the space and will host events with the Ballston Business Improvement District (BID) and Arlington Commission for the Arts. 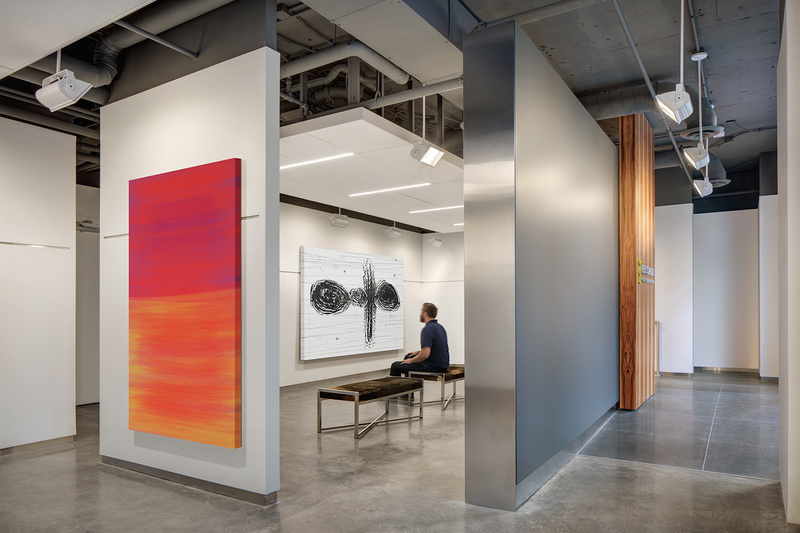 The 850-square-foot gallery, designed by ASD | SKY, features tall ceilings, high-level finishes on the walls, polished concrete and metal floors, and lighting designed for gallery spaces, creating an ideal backdrop for the art on display. It is also an acoustically-enhanced space for music. The grand opening reception will be held on Saturday, May 12, 2018 from 6-9 p.m. and will be open to the public. Normal hours for the gallery will be from 2 p.m. to 7 p.m. Thursday through Sunday until July 8, 2018. Purchased art will be available for pickup after the exhibit closes. For more information about the grand opening events and the David Carlson exhibit, as well as upcoming exhibits and events, call 703-841-9404 or email gallery@fredschnider.com. More on www.fredschnider.com.